Teen depression is on the rise, and a parent’s best strategy to help a child is to promote the development of key skills. One of the most important aspects of healing and recovering, be it from an injury, depression or a broken heart, is the belief that change is possible. Researchers call this “positive expectancy,” and when we look at the success of therapy, it figures prominently. In order to do the hard work of changing or healing, we have to believe that change is actually an option. Recently I’ve been bumping into more and more information about depression and anxiety disorders that is saying the exact opposite of this. I understand the intent: we want to prevent kids and teens from feeling guilty or ashamed when they are struggling. We want them to understand that mental health issues like these are common and treatable. We don’t want them to feel alone. But it’s also critical they know that their brains are malleable and changeable. The way we think, develop, relate to others, and handle challenges are critical to good mental health and are components of our human experience that CAN be learned, unlearned, and adapted. What you believe about yourself and how you view the world are significant factors in both the development and recovery from anxiety, depression, stress, chaotic relationships, and many other issues. Parents can learn how to help a teen with depression when the family takes a skill-building approach. Teens are hearing– so they tell me when I ask them–that depression and anxiety are permanent, based on hard wiring and/or genetics. While there may be some genetic contribution to anxiety and depression in teens, there is no known anxiety gene or depression gene nor ANY solid scientific proof that fully explains what causes depression. We do know that the malleability of our brains, our chemistry, and even the genetic expression of our DNA is far broader and influential than researchers believed even 10 or 15 years ago, and we know about risk factors, like trauma, isolation, and social disconnection, to name a few. Rather than promoting healthy changes in thinking, acting, decision-making, and connection, we are hindering the positive expectancy and motivation that is critical to the treatment of these problems. And we are inhibiting an important discussion about risk factors, prevention, and recovery. When we give teens the message that “this is who they are,” that their brains are imbalanced, and that depression is a disease that “just shows up,” our attempts to help are possibly doing the exact opposite. Depression and anxiety in teenagers are very real and very destructive when left alone, but treatment that focuses on building resources and skills is very successful. As an anxiety expert, I often talk to teens who are also depressed. Why? Because an untreated anxiety disorder in a child is one of the top predictors of developing depression as a teen or young adult, a fact that most teens and parents are unaware of. And because anxiety is the chief mental health complaint of young people, it’s not surprising that rates of depression in teens is increasing. Adolescence is often the time when longer term issues with anxiety and worry become more intense and isolating. The challenges of social life and increased academic pressures push kids toward brand new experiences and responsibilities, along with the shadow side of hesitation and insecurity. Specific learning difficulties can surface as students take on more complicated tasks or have to speak up in class. Sports become more demanding, and hormones can wreak havoc with appearance. Whether social, intellectual or physical, anything can serve as a source of worry. Teens are caught between wanting to achieve and being afraid of failing, of wanting to belong and fearing rejection. When teens believe they won’t measure up or when they expect rejection, they withdraw. To make matters worse, teens are developmentally more likely to reject adult input as they strive to be independent and find their own answers. At the very time when they are faced with huge changes– graduating from high school, waiting to hear from colleges, moving away from home or deciding on a career path—your advice and desire to help are met with resistance. No degree of reassurance or encouragement seems to be enough, because you can’t give your teen what she’s looking for: a guarantee that everything will turn out perfectly. And it’s this desire for certainty that allows anxiety to grab your teen and hold on tight. Add to that a conflicting desire to be a part of a complicated and uncertain social world, and it’s no wonder that the withdrawal, hopelessness, and sadness of depression can take hold. 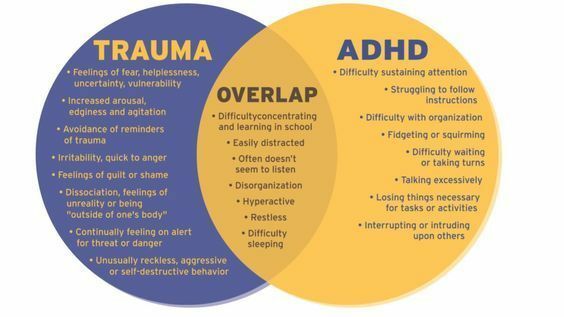 This means that helping children and teens understand and normalize the challenges of relationships, problem solving, disappointment, and uncertainty is critical for prevention and recovery. These are skills that can and should be taught. Your anxious teen is looking for a guarantee that everything will turn out perfectly. Since you cannot control that, the family goal is acceptance with uncertainty. When we talk about permanence and disease, we miss an opportunity. We must help our children notice the patterns of thinking and responding that can be most helpful and most hurtful. For example, most teens understand that life can be unpredictable. But during this time of flux, they sometimes lose their ability to tolerate such big uncertainties. These ways of thinking create anxiety and stress in teens, so what can you as a parent do to help? You can start by paying attention to how you and your family handle failure and mistakes. 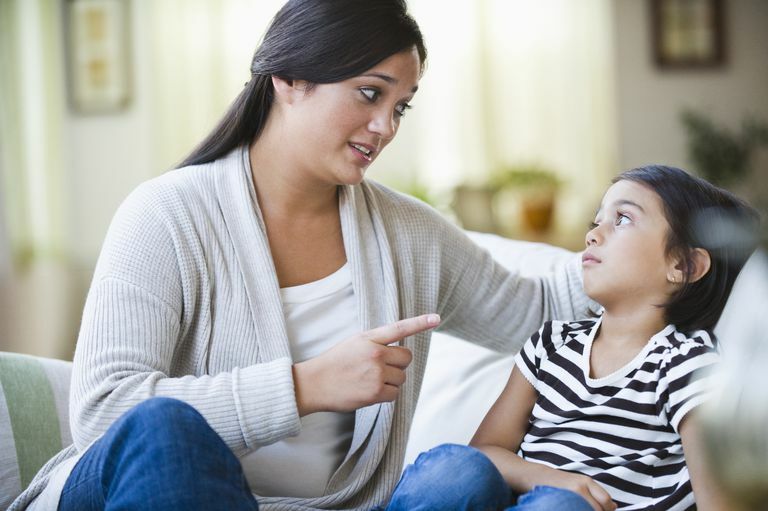 Research tells us convincingly that your own relationship with anxiety and uncertainty—and how you role model this to your child—significantly impacts how she sees the world. When is something good enough? How do you move on to your next task? What does your family say about screw-ups? Now may be the time to notice and change your own response to mistakes, to sprinkle family conversation with phrases that normalize screw-ups, struggles, and imperfection. Teens also need to hear that they aren’t expected to know everything, and that they can’t see into the future. The goal is NOT to make all good decisions. The goal is to have the problem solving skills needed to adjust from the inevitable bad ones. Flexibility is key, and this means knowing when to push harder and when to be satisfied with a less-than-perfect result. As you see your teen becoming anxious, look for opportunities to let her know that this IS a time of uncertainty, but you have confidence in her ability to problem solve along the way. 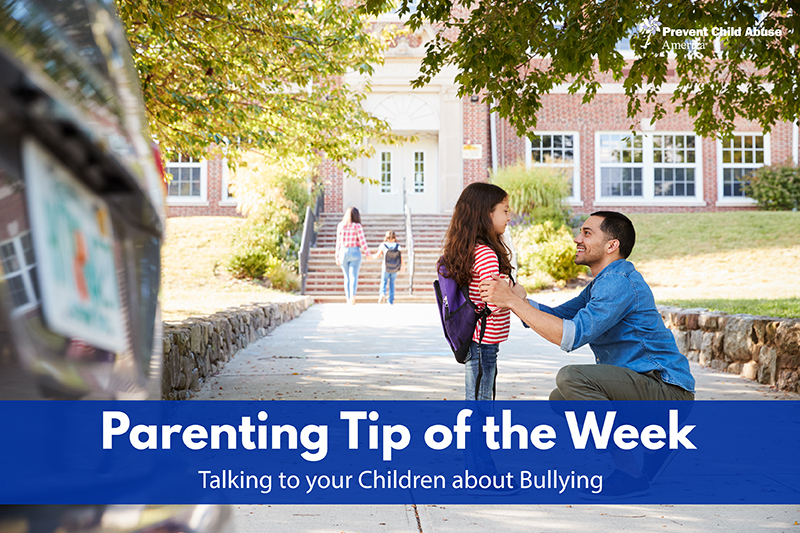 Giving advice about how you would handle things might not be as valuable as instilling a sense of autonomy in your teen—and this may mean backing off the lectures and letting her know that you are there to support her as she makes HER choices. Finally, teens need to hear that they are supposed to be anxious! Expecting to be calm and relaxed during such a time of change is unrealistic. In fact, moving toward the anxiety and learning how to manage it is the skill I most strongly promote. If a teen believes that staying calm is the goal, she’ll avoid taking risks, stay where she’s most comfortable, and never build up her own sense of confidence. Let her feel her feelings, but then support taking action and courageously moving into uncertainty. Although your first instinct may be to step in and make it okay, know that you are equipping your teen with valuable skills when you model and support a more flexible—and independent– path into adulthood. Remember how girls used to be told that boys were better in math and science? And then they lived up to those limited expectations? We don’t do that anymore. Sadly, however, we have seemingly replaced those outdated myths about brains with some new ones. With the rates of depression and anxiety in college students at an all time high, we need to start paying attention to the power and (in)accuracy of our language about change, brains, and the future of our children’s mental health. Learning how to help a teenager with anxiety and depression means teaching problem solving skills needed to respond to the tough choices and bad decisions they all make. Help teens to step back from their rigid expectations and permanent mindset, and instead support them through this time of struggle, discomfort, discovery, and growth with the language of change, possibility, and movement. Most importantly, stay connected to your teens, even when they are being clear about how annoying you are. Small gestures go a long way: offer a compliment, ask question or two that conveys genuine interest, and be that steady stream of messages that let them know you are there when needed as they trip, fall, regroup, and find their path. As summer is ending, many children and families are getting ready to go back-to-school. Some other kids are getting ready to go to school for the first time! 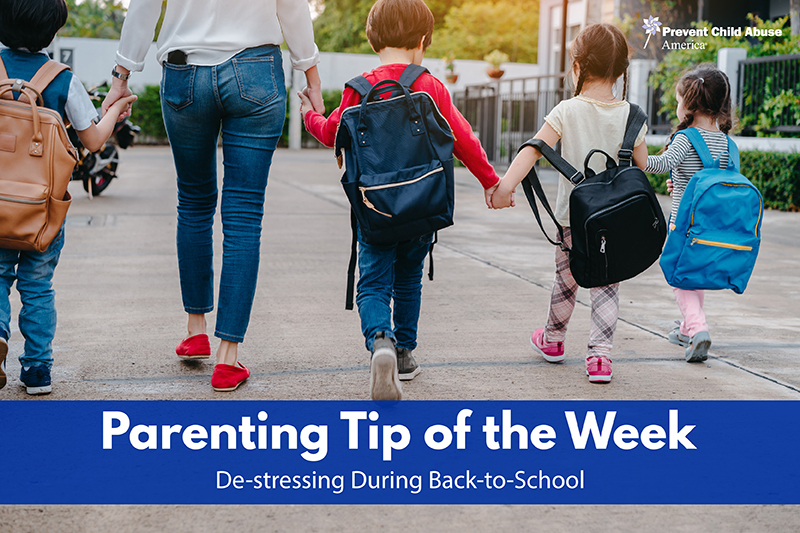 Today’s Parenting Tip of the Week is about helping transition your child from summer-time to school-time with as little stress as possible. The most important piece of getting your kids ready for back to school is helping them have a positive attitude! After months of visiting friends whenever they can and playing outside to their hearts’ content, it can be tough to get kids excited about spending time in the classroom again. Ask your children questions like “what class/teacher are you most excited for?” or “who haven’t you seen this summer that you are excited to see when school starts?” Continuing to reinforce the positive aspects of going back to school can help build up your child’s own excitement. Re-start your school bedtime routine early. We know that routines are critical for child development, but also understand how things like bedtime and wake up can shift a little during the summer. Start easing your children back into a school bedtime schedule several weeks before the summer ends. By starting to put kids to bed a little earlier and get them up in the morning a little sooner, it will make things easier when school is officially in session. Ease back into school-work. If you haven’t been doing specific, school-like assignments during the summer, now is a great time to start. For example, you can give a reading-age child a short book to read and have them come to you later to tell you about the story and what it means to them. As another idea, you could pick up a fun and age-appropriate math or science workbook and spend time doing problems with your child during the day. Here are some more examples from Education World that you can use with your family. Talk about expectations. What is your child expecting out of this school year? What are you? Talk with your child about the upcoming school year and set goals. Remember that these goals don’t just have to be based on grades or scores. Your child could want to meet new friends, join a new club or team, or learn about instruments they may want to start playing. Encourage your children to think about school and what they are most excited for, as well as what they’re most afraid of. Talk these expectations out with your children and determine how you can best help them achieve their goals. Attend pre-school year planning sessions or welcome nights. Many schools have events such as a pre-school year planning night, Ice Cream Social, or simply a time where the school is open and kids can go find their lockers and classrooms. If your child’s school offers this kind of event, take advantage! Bringing your child in before the school year begins can help acclimate a child to a new school or help reinforce the positive attitude and excitement you’ve been working to build.